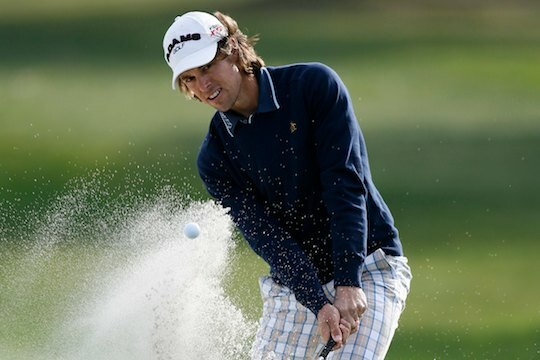 Australia’s Aaron Baddeley, PGA Tour Championship winner Bill Haas, David Toms, and US Amateur champion Kelly Kraft are the latest players to commit to the 2011 Emirates Australian Open at The Lakes Golf Club from 10-13 November. Haas collected the US$10 million winner’s cheque after winning the FedEx Cup at the end of the regular PGA Tour season in September and plays the Emirates Australian Open for the first time. Toms, a winner of 13 PGA Tour titles, had seven Top 10 finishes on Tour this year including victory at the Crowne Plaza Invitational in Texas. Baddeley also won on Tour in 2011 and the two-time former Australian Open champion will be looking for his third Stonehaven Cup. Kelly Kraft won the US Amateur championship in Wisconsin in August and earned invitations to the 2012 US Open and 2012 Open Championship. Haas, Toms, Baddeley and Kraft join an already stacked field including Tiger Woods, Matt Kuchar, Nick Watney, Dustin Johnson, Robert Allenby, Hunter Mahan, Adam Scott, Jason Day, Bubba Watson, Greg Norman, Fred Couples and defending champion Geoff Ogilvy in an extraordinary year for the Open. “It’s a star studded field and like everyone else, we can’t wait for the action to get underway at The Lakes in November,” Golf Australia CEO Stephen Pitt said. The Emirates Australian Open is again sanctioned by OneAsia and the PGA Tour of Australasia and will be broadcast live on Network Ten across all four days. Tickets are on sale now at Ticketek at www.ticketek.com or by phoning 132 849. The 2011 Emirates Australian Open will be played at The Lakes Golf Club from 10-13 November.